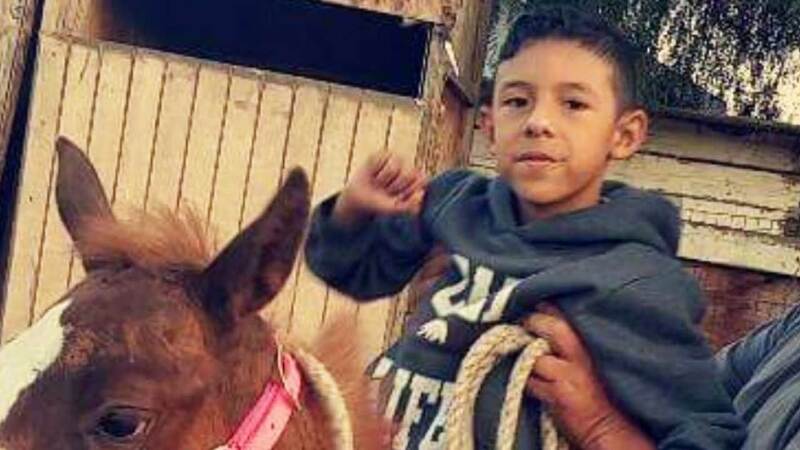 SAN BERNARDINO, Calif. -- Eight-year-old Jonathan Martinez was standing near his special education teacher when both were fatally shot in an elementary school classroom San Bernardino, California. Jonathan's family shared photos of the boy on Tuesday. Jonathan and another student, 9-year-old Nolan Brandy, were rushed to an area hospital. Jonathan died before making it to surgery, while the Nolan was reported to be in stable condition after initially described to be in critical condition. A brief marriage and quick estrangement came before a man walked into his wife's elementary school class and opened fire without saying a word. Jonathan's family set up a GoFundMe account for funeral expenses. To donate, visit https://www.gofundme.com/jonathan-our-family-angel-ngeljonathan. Some six weeks earlier, Anderson was a newlywed calling Smith an "angel" in one of many social media posts professing his love. San Bernardino police have said nothing of what might have motivated Anderson to open fire. "No one has come forward to say they saw this coming," police Chief Jarrod Burguan said, though Anderson had a history of weapons, domestic violence and possible drug charges that predated the marriage. "She knows when to ignore me," Anderson said with a laugh in a short video posted Feb. 27. "Well, it makes a happy marriage." Anderson had posted that he "loved being married to Karen Smith-Anderson!" and posted a photo of the two of them on March 4 in what he described as a date night. "She thought she had a wonderful husband, but she found out he was not wonderful at all," Sykes told the Los Angeles Times. "He had other motives," Sykes said. "She left him and that's where the trouble began. She broke up with him and he came out with a different personality. She decided she needed to leave him." She did not elaborate further.